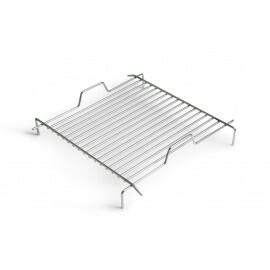 The CasusGrill is a redesign and green transformation of the aluminium disposable grill. 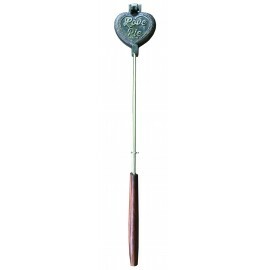 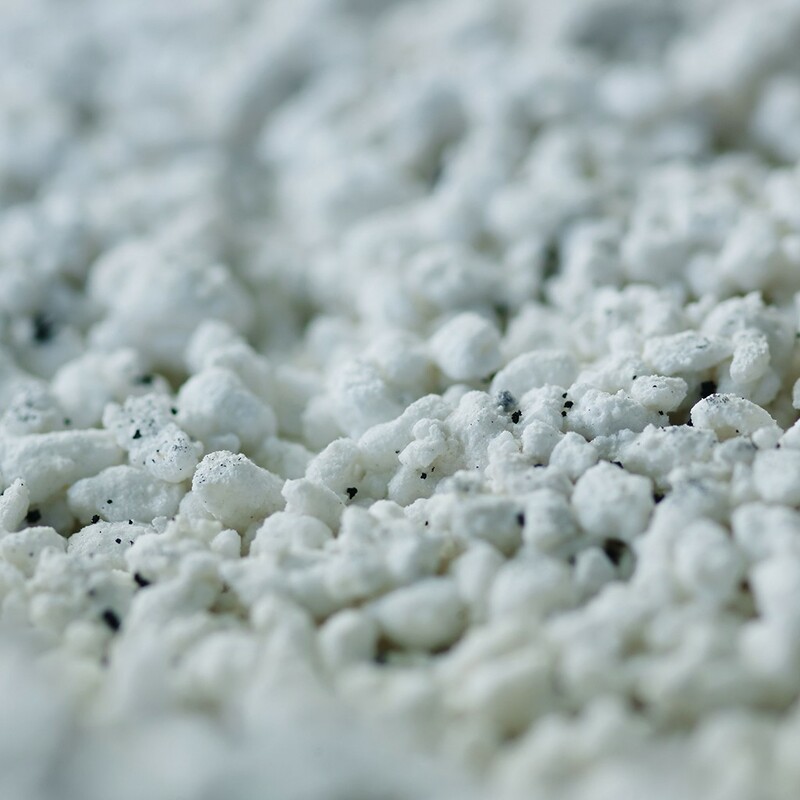 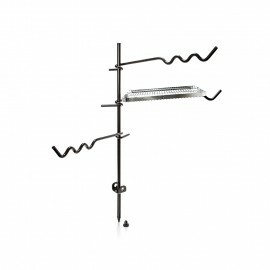 It’s made of sustainable materials without the use of metals. 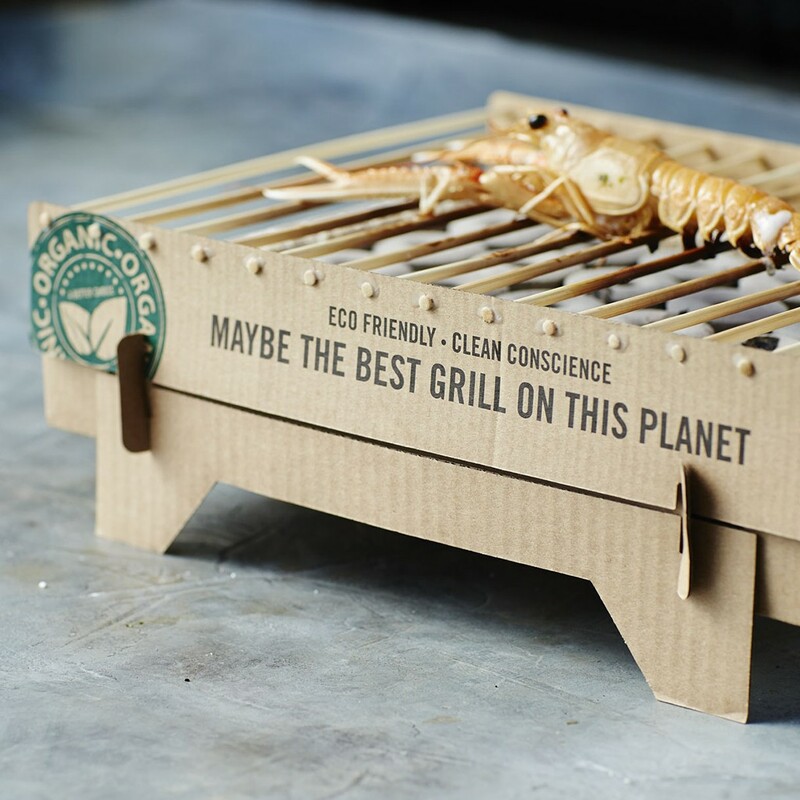 More efficient, less waste, safer and it makes GREAT food. 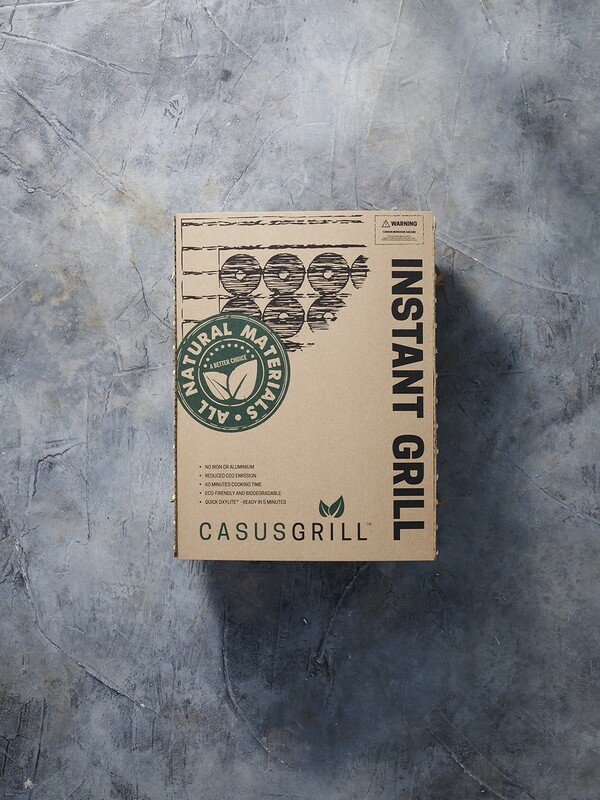 CasusGrill is the revolutionary 100% natural, sustainable and completely disposable instant grill that is ready to use in 5 minutes and provides heat for up to one hour. 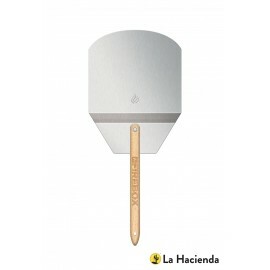 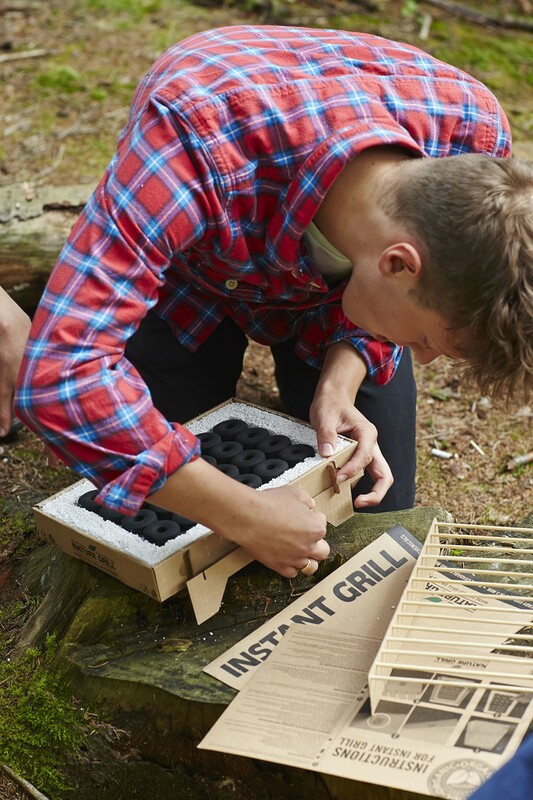 So you can grill delicious food with a crisp finish anytime and anywhere. 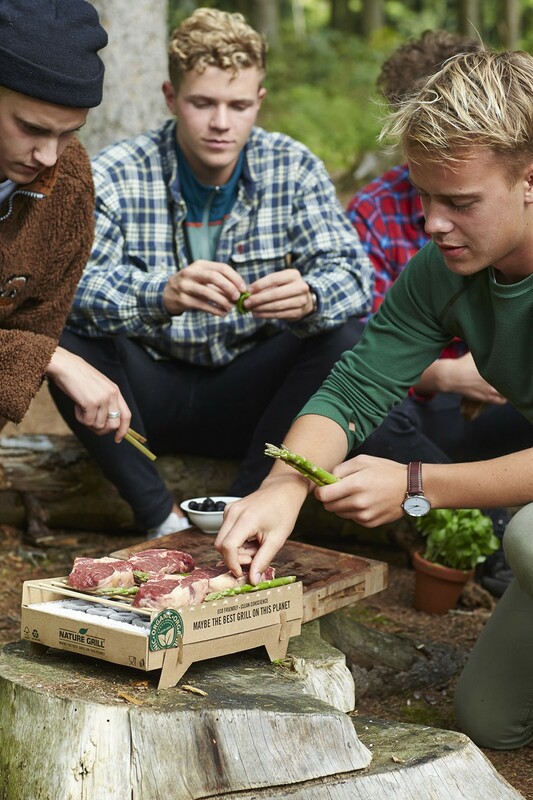 The natural materials used in making the Casusgrill ensure that when you are done cooking, you can easily throw it into the garbage, compost or into the fire with a good conscience. 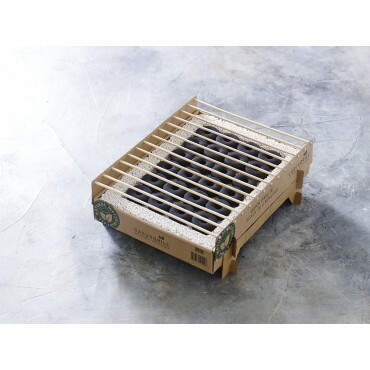 Reduce your environmental footprint with this grill. 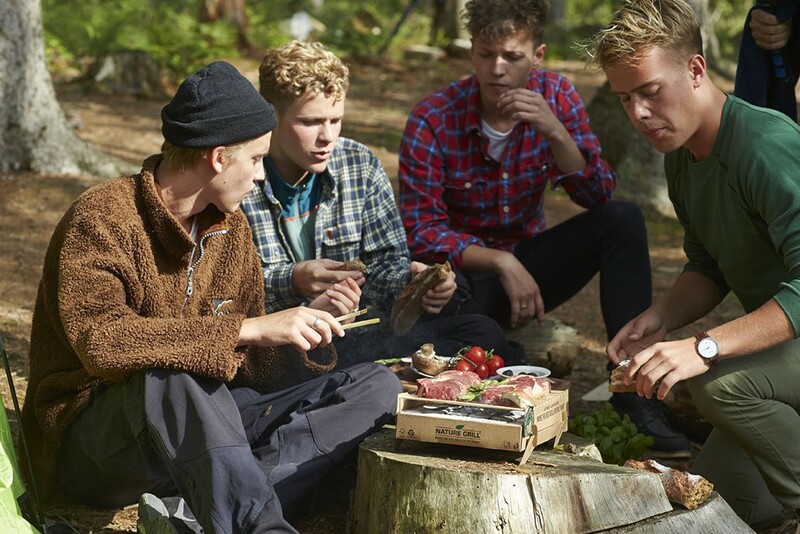 No more aluminum baskets / grills in the park and in nature. 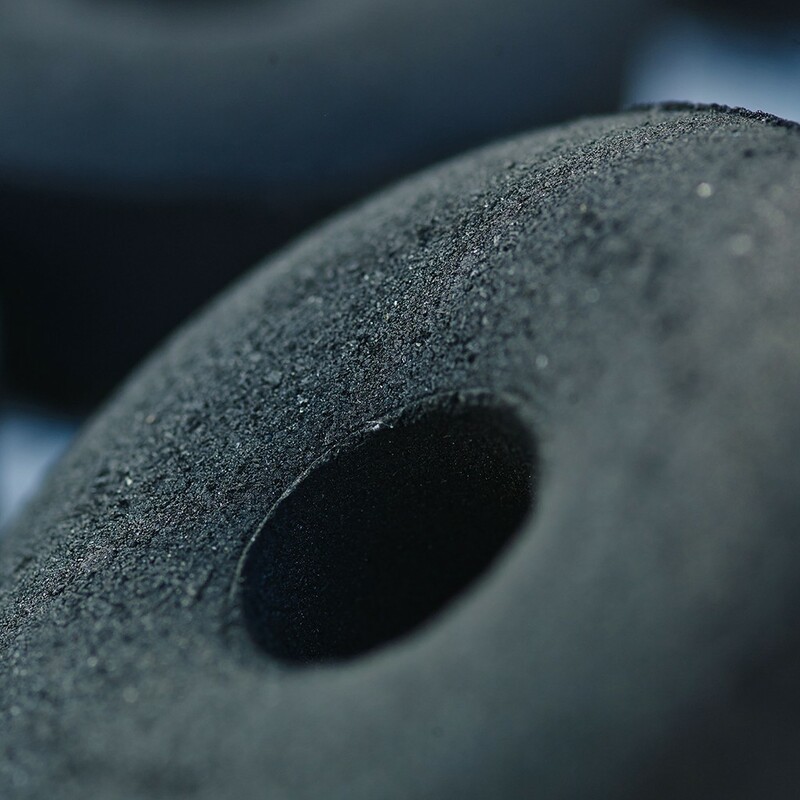 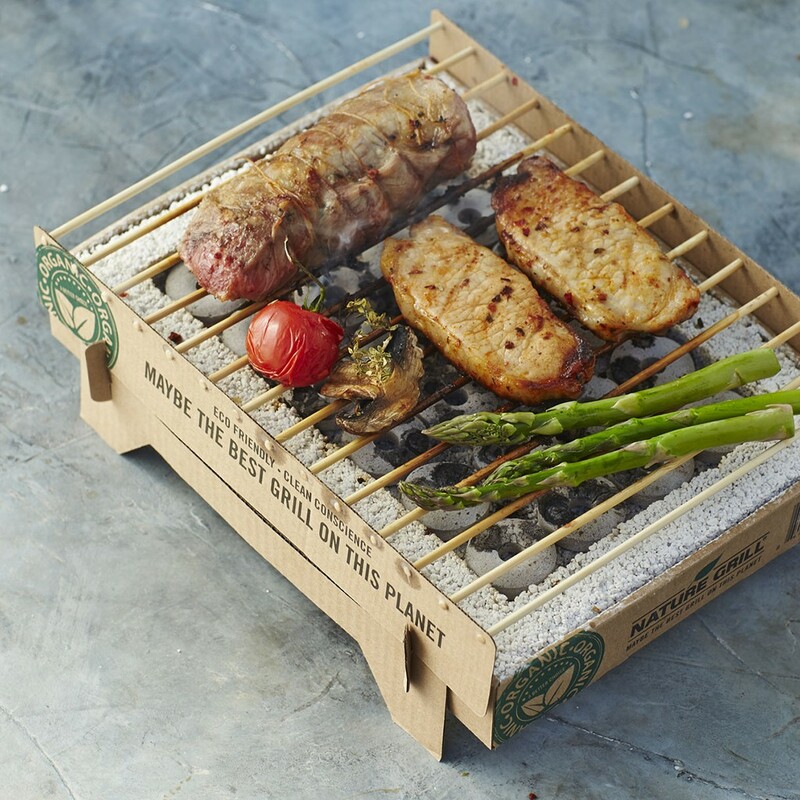 The award-winning CasusGrill consists of FSC-certified cardboard with naturally occurring lava stone. 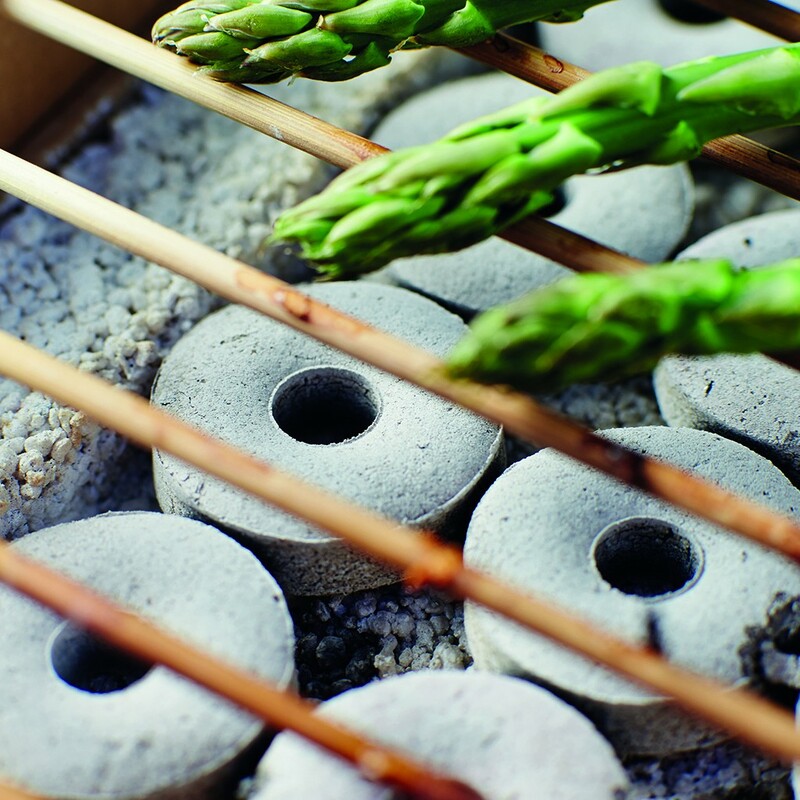 The grill bars consist of bamboo (which is not burning), and the briquettes are made of Quick Oxilite ™ bamboo charcoal. 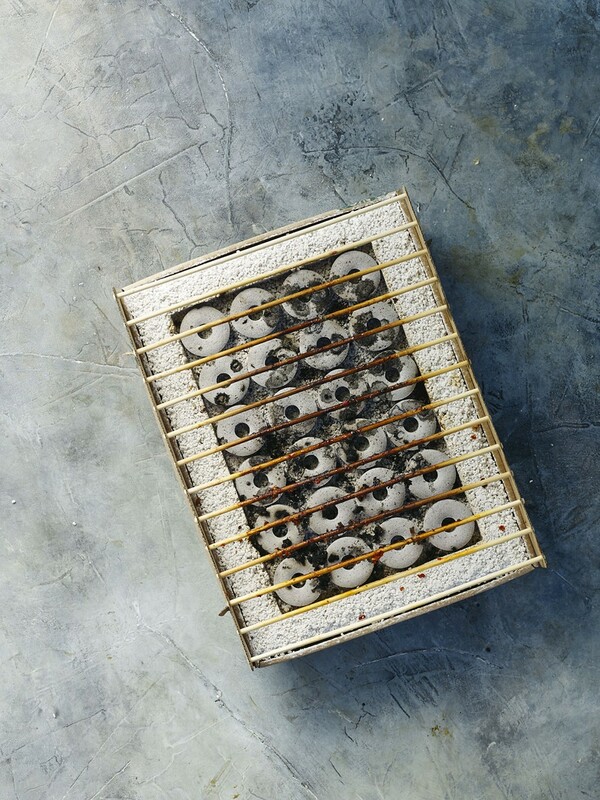 In contrast to the ordinary one-way grills that can smell for hours without ever being ready to use, this unique barbecue is ready to cook your food in just five minutes and even provides a high heat for an hour. 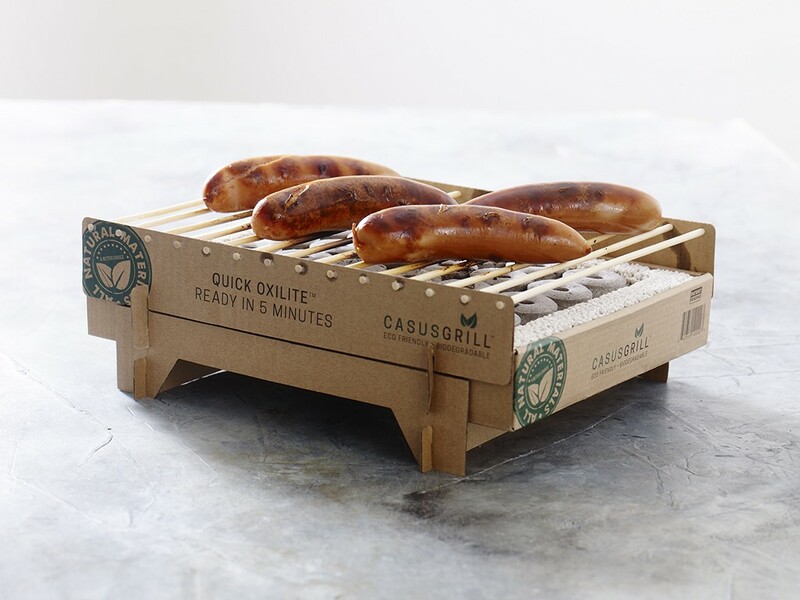 And amazing, as the design deliberately protects against high heat emissions, you can hold the grill in your hands while it is in full operation! 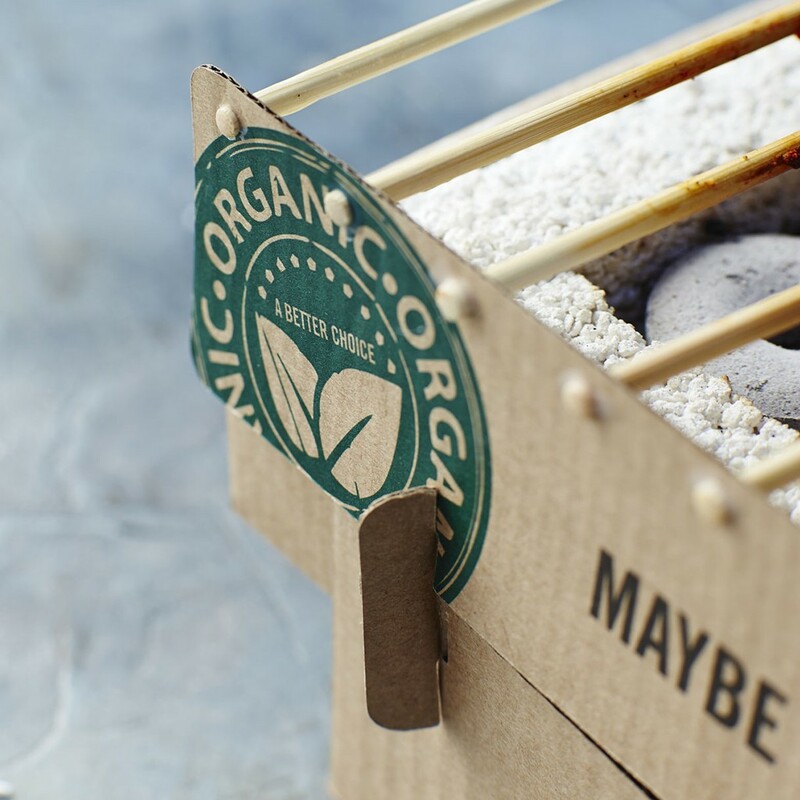 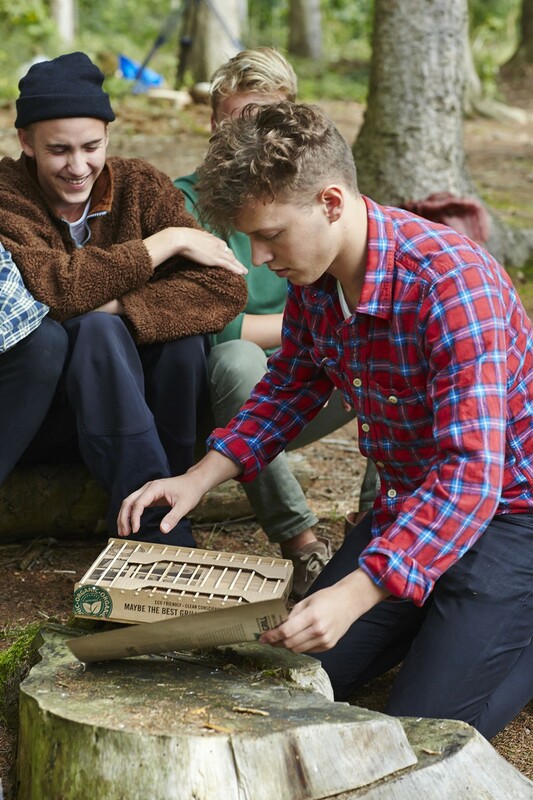 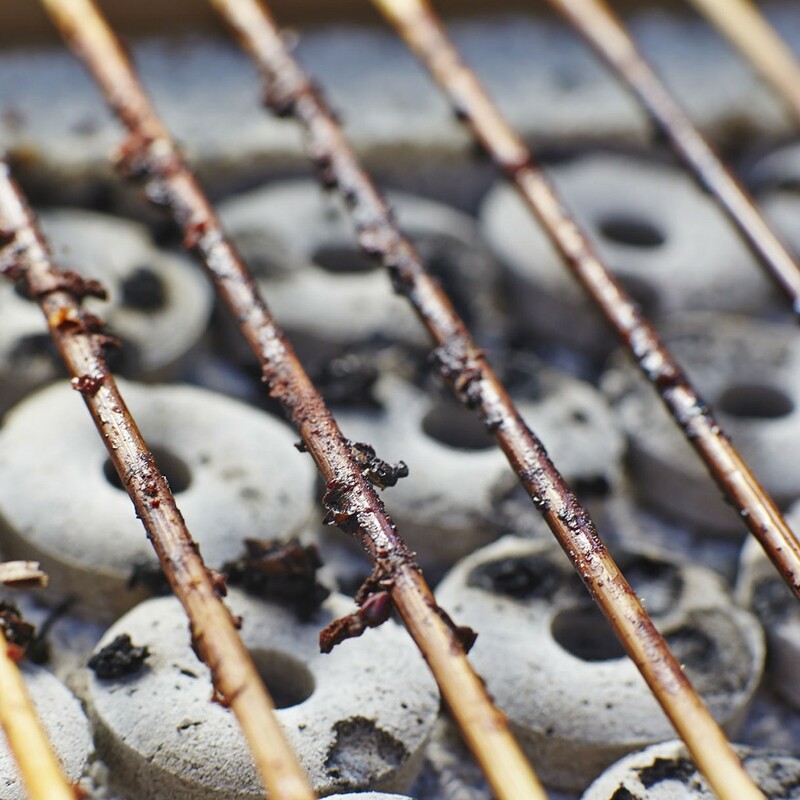 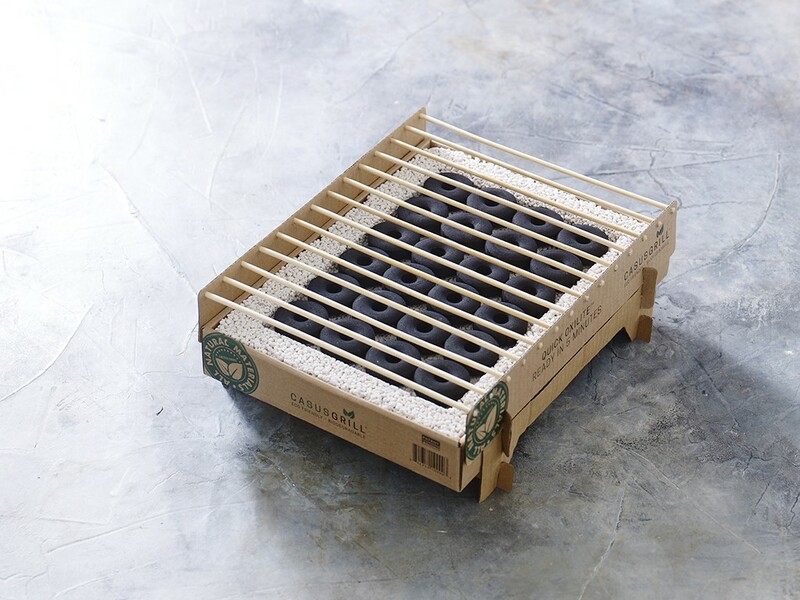 The use of 100% natural materials is not so easy for ecological BBQ's; since this one-way grille uses less coal, the coals emit about 50% less CO2 than conventional one-way grills. 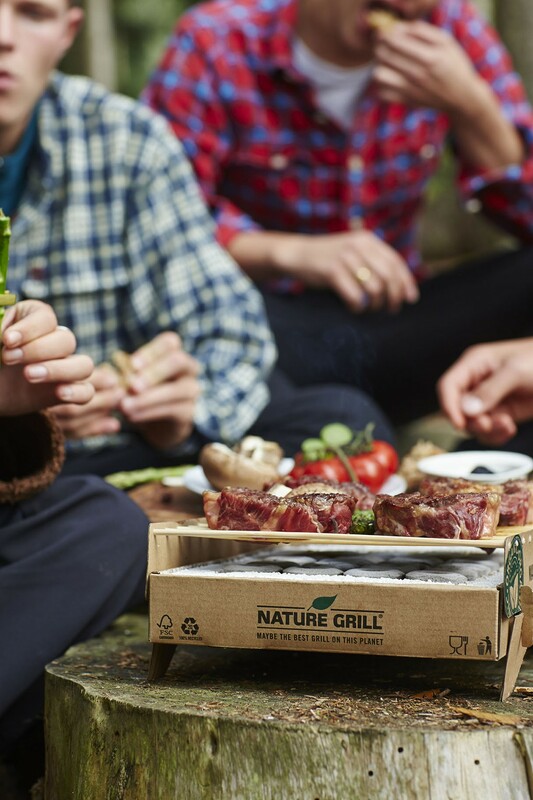 So if you want a good conscience as well as a cleaner planet, choose the grill that is not designed to last long instead of aluminum throw-away grills.